Globibo's Translation Service is one of the strongest parts of our operations. We provide German Translations & Interpretation Services to hundreds of international as well as clients in many countries throughout Asia and around the world. 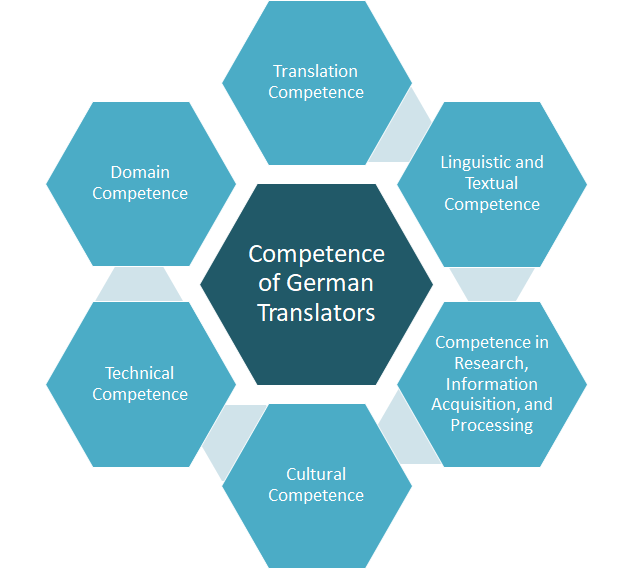 In cooperation with German Chambers, German Embassies, German Consulates and German Ministries our Translations are recognized in more countries than any other Translation agency. Globibo Translations cover basically any language combination from or to German and any file format. The basic requirements for our German Translators are that the linguist requires either an explicit professional degree in translation or an equivalent degree and documented full-time German Localization experience. As such we do not just look at documented translation experience, but the experience has to be in a full-time capacity. The ISO standard puts further emphasize on the direction for translation. 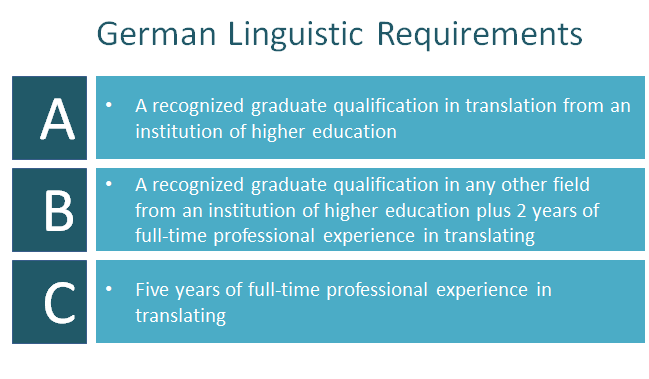 A translator qualified to translate German to English might not be qualified to translate English to German. While industry-standards are not very consistent in regards to translation direction, we developed an own set of standards to ensure quality. Therefore, our linguist working on German Projects require not just the qualifications based on international translation standards like EN 15038 and ISO17100 / 11669 but additionally have to comply to our specific criteria that we found important for German Translations. Our German Translators have access to the best German Term-Databases that were established and optimized over thousands of projects. The Term-databases have been consolidated for different industries and functional domains. We also create customer-specific Term-databases to improve inter-company translation consistency. Those Term-databases give the linguist additional support to perform the translation faster with a higher quality level leveraging industry or company-specific terms. Lastly, dedicated German Translation Memories that include fully pre-translated segments from all our prior projects improve quality as well as reduce cost and turnaround-time for our clients. The segments from prior translated projects are weighted in regards to context and domain to ensure they fit into the new target context. There are various locales where German is spoken, resulting in differences in the language among the various locales that may affect a translation or interpretation project, and even a language course. For instance, the German spoken in the locales of Austria, Switzerland, and Luxembourg may each differ from the German spoken in Germany. Let’s take a look at some simple words that are translated differently in various locales. These differences may have an impact on choosing the right translator, interpreter, or language teacher. If your documents are required to be used in Austria, it would be ideal to use a linguist with focus on Austrian German, as opposed to a German speaker who is a native of another locale. For questions about our translation process, please contact your friendly local account manager. To learn more about professional localization processes, you can also check out our blogs or numerous publications and social media. Our Localization Service also mean world-wide recognition from most government agencies, embassies, consulates and chambers - in Germany and overseas. The certification procedures depend on the country and agencies from which you require the document to be confirmed/certified. While legal firms or a notary public performs a notarization, embassies and consulates provide legalizations. As a translation agency we do the underlying translation certification that can be legalized or notarized by other agencies. As the process differ from country to country and different documents, we can guide you through the process. To perform certified translation and get the subsequent approvals from a notary public, embassy / consulate or ministry, we follow a set of specific processes and procedures as well as work with linguists with very specific qualifications. Those qualifications are based on industry-standards as well as requirements from local / international government agencies. Leveraging a large pool of templates and terminology databases from previous translation projects, we can perform the entire process fast and cost-efficiently. Standard documents like for example driving licenses, ID cards, passports, do not require any formatting or DTP as the basic templates are all available. Professional Localization Services also means agnostic usage of Translation Management Software - for larger projects we will use the software that makes most sense to you, not what fits into the strategy of our associated software company. We leverage Wordfast, SDL Trados and DejaVu as standard applications for German Localizations. Furthermore we keep German Translation Memory and Terminology Databases by Client and industry. 1 - Terminology Databases : We structure industry as well as customer specific Terminology Databases or Glossaries. The combination of those 2 types of Terminology Databases permits quick access to industry or customer-specific terms. Those terminology databases are aligned with your internal teams to ensure we match the best translations for your internal functions. 2 - Translation Memory : Similar to Terminology Databases, we have industry- as well as customer specific Translation Memories. A Translation Memory is a database of previously translated segments (e.g. full sentences) that can be reused in subsequent translations. Translation Memories allow increasing quality and turn-around time while lowering cost. 3 - Machine Translation : New MT engines permit leveraging neural networks as well as statistical models to reuse previously translated material for new projects. If our contract permits, we access different MT engines to facilitate professional processing of the translations. 4 - Translation Management Systems (TMS) : TMS allow us to process localization projects in a faster and more coordinated manner. With combine our own internal management system with external applications to create the right blend of operational efficiency with access to world-class external tools. For more questions in regards to our technology strategy, please contact us.